Mandarin’s tones are a source of a lot of trouble for learners. There are 5 tones in the language. If you get it wrong: you may end up calling your mother (mā) a horse (mă)! 2. Gender confusion: In the Chinese language, gender pronouns are not separated (he and she, his and hers) for example. The word “and” in English is very versatile, and this often causes English-speaking learners to latch on to 和 in Mandarin and use it for everything. 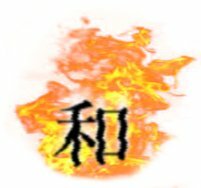 The main mistake with 和 is using it to connect phrases. 5. Misuse of prepositions: In Chinese there is a character that can mean, ‘in’, or ‘at’ depending on the context 在.
Mandarin word order: In Mandarin adverbials of time, manner, and place nearly always come before the verb. This is different to English where the placement varies a lot. The most common way to link adjectives to nouns is with 很. This is often described as meaning “very”, but its main function in this case is just to sit between the noun and adjective. “她很高” can just be translated as “she’s tall”. Two common ways to form questions in Mandarin are positive-negative inversion, and adding 吗 (ma). After learning both, you can easily slip into putting both into one sentence, which is usually incorrect. 13. 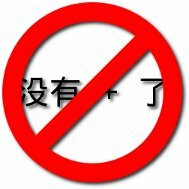 Inserting articles: The articles (a, an and the) are not needed in Chinese before a noun. But English speakers usually insert them. 14. Confusing first and last names: In China, the family name is written before the first name, the opposite being the case in English speaking countries.